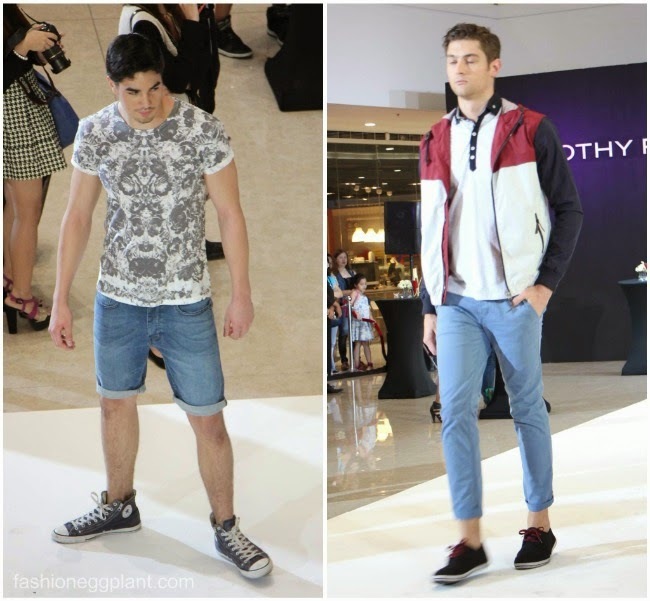 The first ever Burton Menswear London boutique in the Philippines opened their doors yesterday at the Fashion Hall of SM Megamall. Burton is adjacent to the equally new Dorothy Perkins store (more here) and it's packed with a chocful of easy yet stylish pieces that guys of all ages will appreciate...and we know how extremely difficult it is to please the men in our lives...especially on a day such as Father' Day, do we all agree that they are the most difficult to buy gifts for? It's like they want a new golf set, a sports car, a boat or nothing at all. Literally like overgrown little boys sometimes. I think that's part of what makes them endearing to us. At Burton, you can find the perfect outfit to match the adventure of their dreams so they can fulfill it in style (when they do come up with the money for the jet..or catamaran :P) and comfort. Known widely for its "Great British Style", our men can finally channel the Gallagher Brothers for cheap. 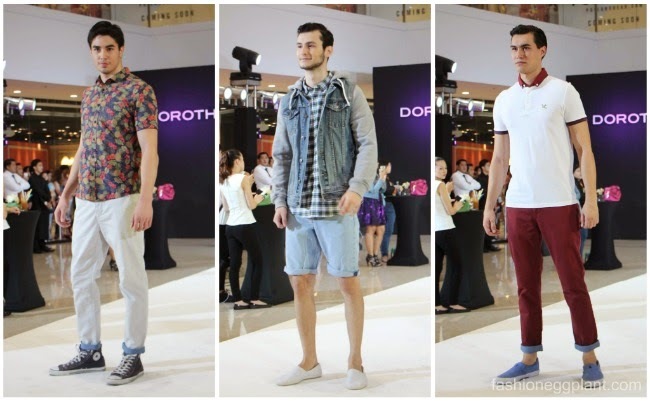 Prices start at around Php300 only so those under a budget can afford the quality that Burton has to offer as well...I know, I was mighty surprised as well cause the clothes are really nice and well-made +++ you can't go wrong with a nice fitting plain T.
For Spring Summer 2014 Burton Menswear features collections that mix vibrant summer colors, cool street wear, vintage refinement and perfectly cut tailoring. For a more dressed up look, take inspiration from the sixties and Carnaby Street with these polished pants and blazer sets in a slim silhouette. For those who prefer timeless and elegant pieces, the Vintage Traditions range offers modern classics such as the single-breasted mac and linen tailoring in pale blue, pink, traditional navy, stone and mushroom. For the more willing and experimental, try 50s Idol which takes inspiration from the fifties matinee idols. But of course, there's also a seemingly endless display of casual t-shirts, shorts and jeans for everyday living.